​It's so fluffy! 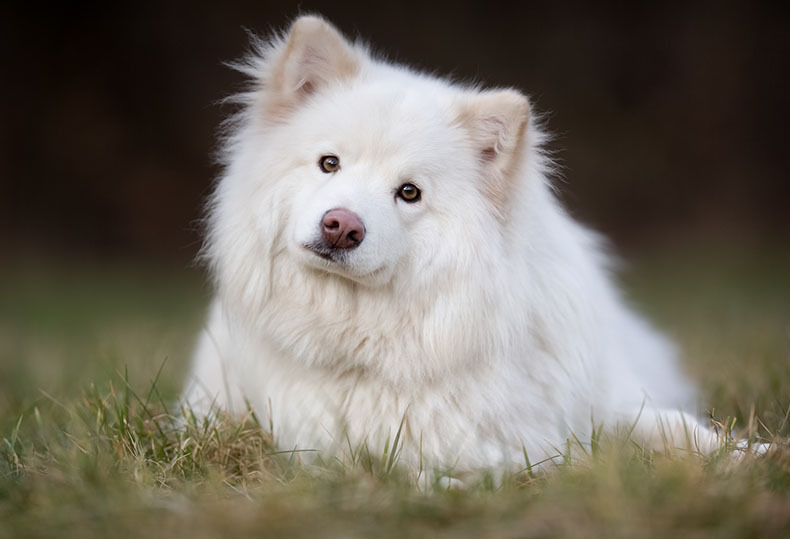 Here's a quick picture guide of the ​top small, medium, and big​ fluffy dog breeds, along with some breed info to help you get started with your perfect fuzzy companion. ​With ​most breeds, the best way to maximize ​your dog's fluffiness is ​simply done with proper grooming and maintenance. Most often this means growing their coat out, and keeping up with ​daily brushing to fluff out their coat. A good slicker brush will actually increase the fluffy look by separating individual hairs, while removing mats and tangles. ​Cheerful, loving, and a little trouble maker, the Bichon Frise has plenty of personality to share with everyone around her. 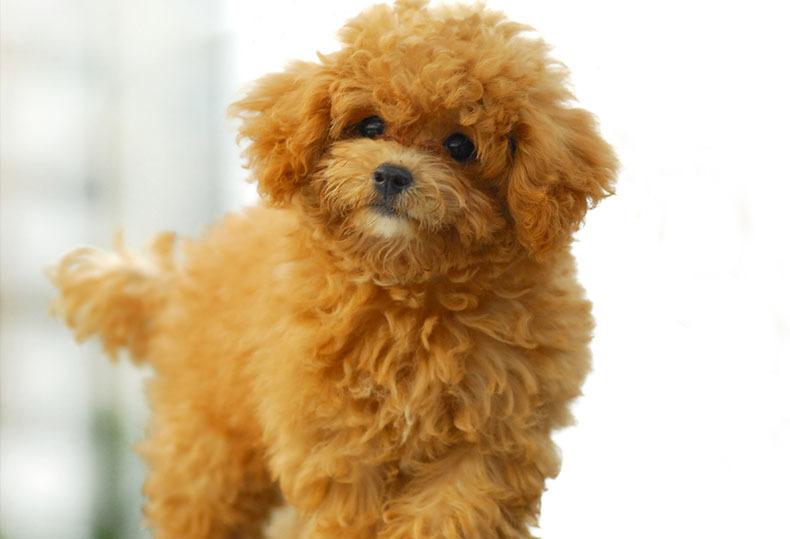 They share a lot of characteristics of a toy poodle, with their soft frizzy coat and toy face. The Bichon is described as affectionate, silly, and gentle. They prefer to be your full-time companion, so they do not like being left alone for long periods of time. 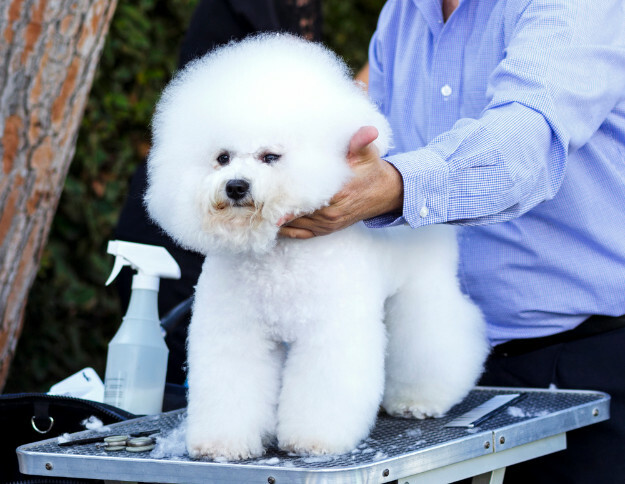 ​Bichon's can be grown out and trimmed in a teddy bear or breed trim in order to achieve that white fluffy coat. ​Cotons may have a soft and fluffy appeal, but they're more like Velcro, because they'll be stuck to your side wherever you go. That's because the only thing this dog wants is to be at your side. Cotons are known for their sweet and calm demeanor, but also for being quite intelligent. This makes them incredibly flexible to your routine, as long as your can accommodate this curious creature following you around all day. 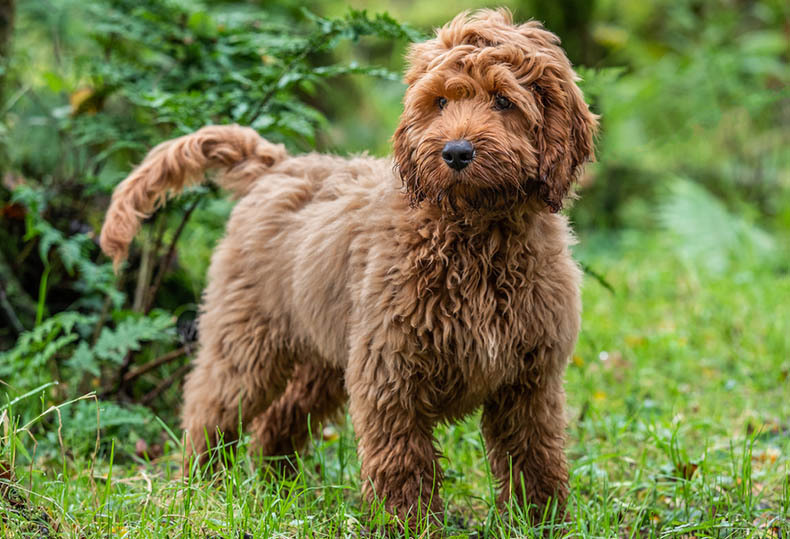 ​As you may have derived from the name, the Cockapoo is a cross between a Cocker Spaniel and a Poodle, and share the best traits from each. They're incredibly intelligent and sweet, making them easy to train and a ​welcome fit for any family. Their ability to find joy in any situation​ is contagious, and it's hard not to laugh at their silly behavior. And that thick furry coat? It'll need some daily brushing and the occasional bath, but isn't terribly difficult to maintain. 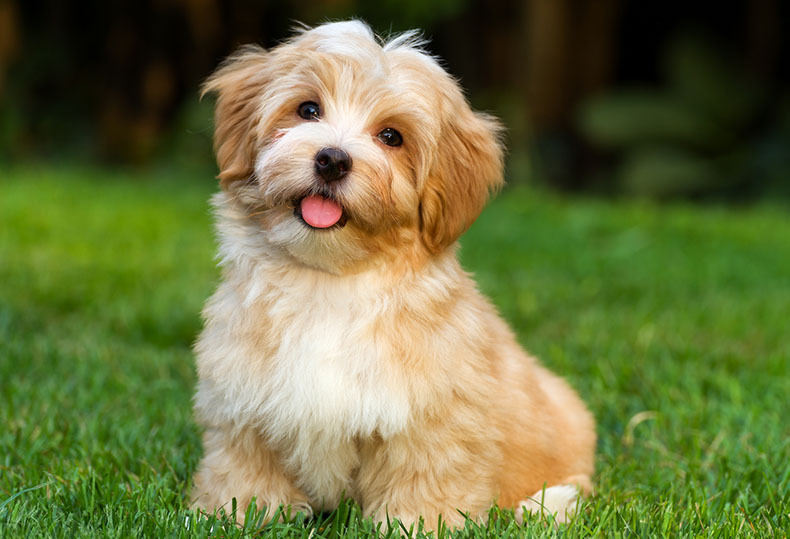 ​Havanese have the biggest heart of all, and they're absolutely in love with you. This is the epitome of a lapdog as they're glued to your side and looking for a warm spot to nap at all times. 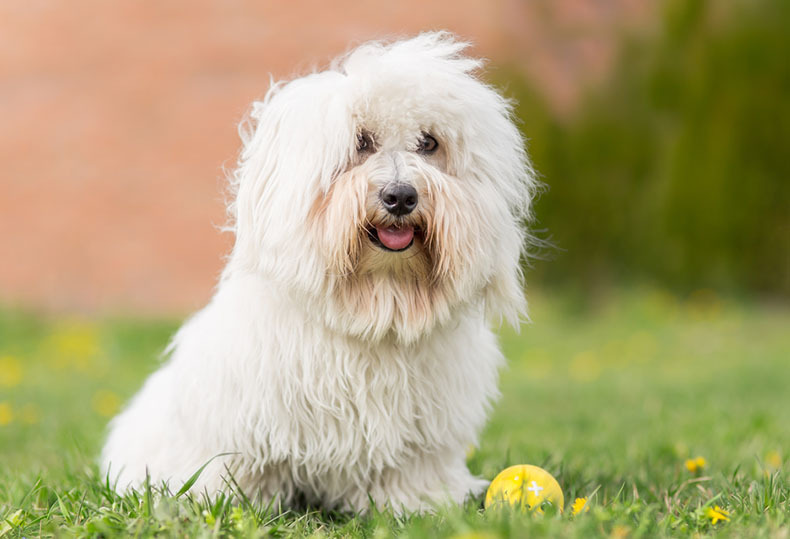 ​They're quite adaptable to your lifestyle, ​but Havanese do not like being left alone and may bark and howl while you're gone, which may make them difficult apartment dogs. They can be overly timid, but some early training and socialization can help curb their anxiety. 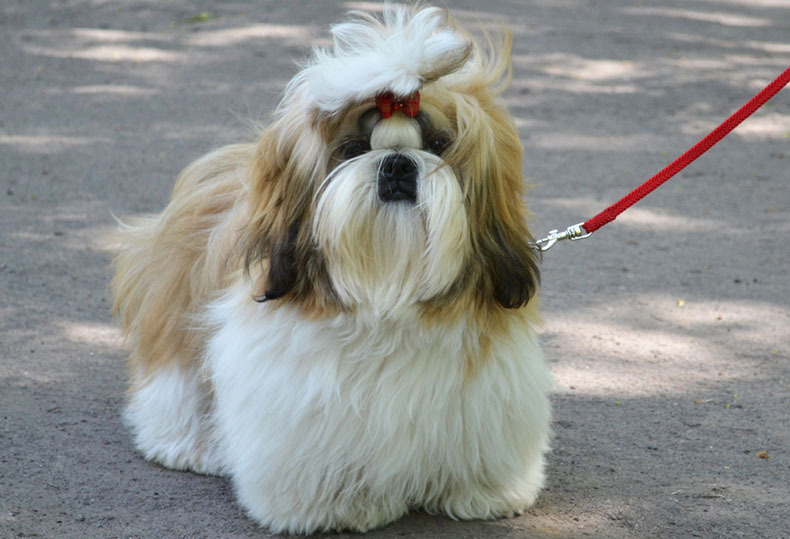 ​Pekingese can be very stubborn and independent, and they ​tend to make up their own rules as they go. Potty training, barking, or training in general are going to require a lot of patience and ​persistence. 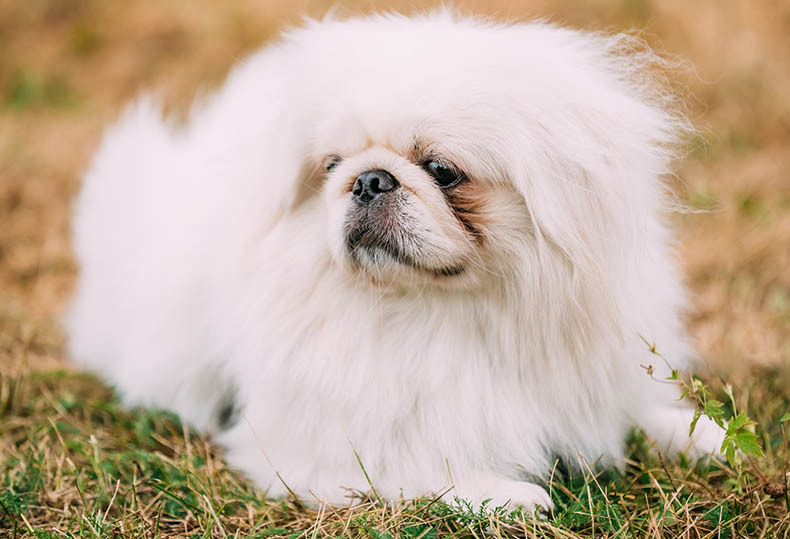 ​With that in mind, the Pekingese are not well suited for families with small children, other dogs, or first time ​owners. 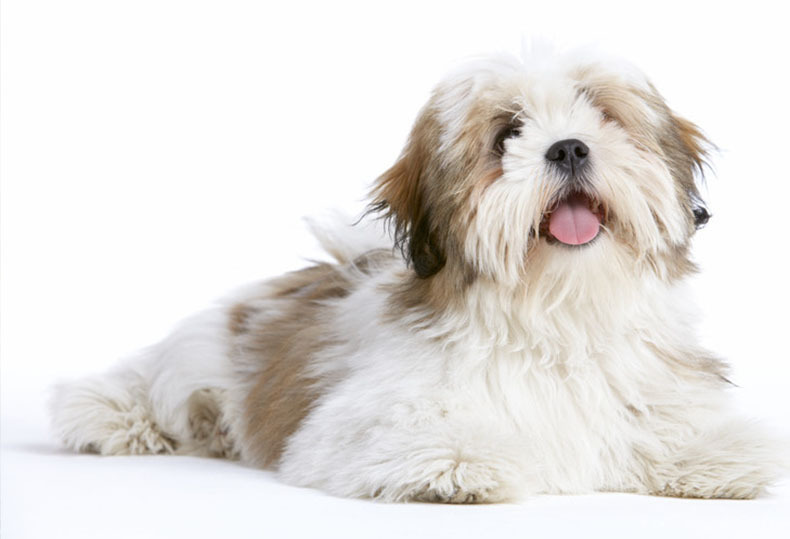 ​This is a strong-headed breed, and it takes consistent training from a strong leader for the Lhasa to take heed. Because of their protective nature they absolutely must have early socialization. Despite their thick coat, these dogs don't actually shed. 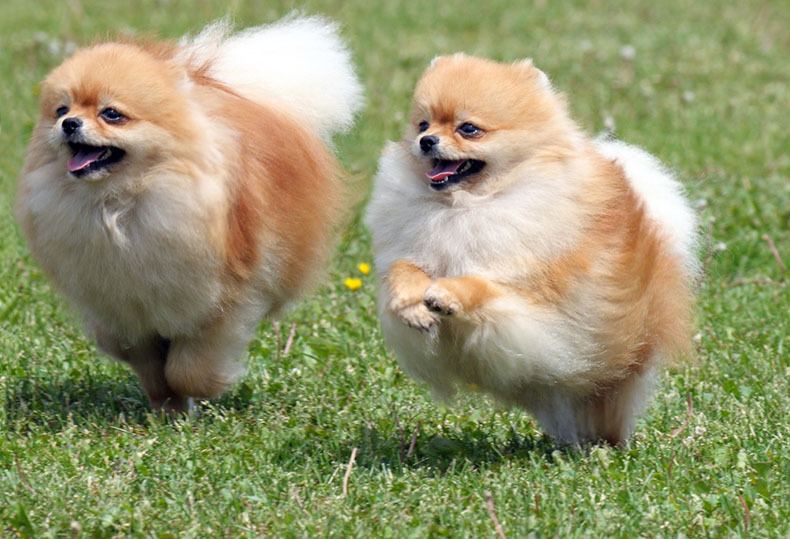 A sometimes overly confident trouble-maker (but it's all in good fun) the Pomeranian is the star of their own show. They can be described as confident, curious, and enjoy being treated like a prince (or princess). ​Poms are a perfect accomplice to go on adventures with, as they enjoy spending their days following you around and genuinely enjoy new experiences. Just keep in mind they're sensitive to heat and need to cool off every so often. Their fluffy coat needs daily maintenance and brushing, and they can shed an impressive amount of hair for a small critter. ​A Shih Tzu's main goal in life is to make you laugh, and they'll usually succeed. Their curious, playful, and lovable ​attributes make them the class clown. These dogs were ​originally bred for companionship which ​becomes quickly obvious with their good natured attitude. All this together makes the Shih Tzu perfectly compatible with your lifestyle. ​However, these pups can be quite excitable and full of energy, so playtime, walks, or even another Shih Tzu companion can help burn off that excess excitement. ​You might have already heard that Poodles are incredibly intelligent, and the toy version is no different. Training ​a Poodle is an absolute joy, and that makes them quite compatible with your family. 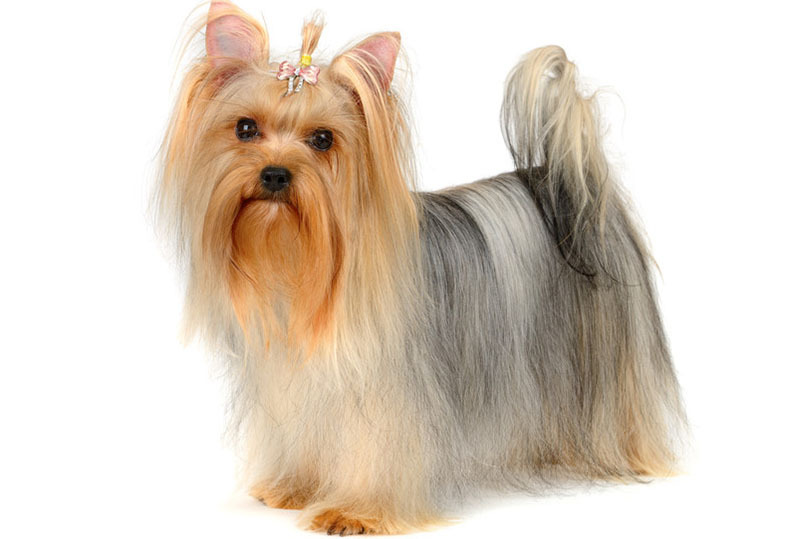 ​Yorkies are that star of their own show, and they know it. They love to show off their personality and sass, and can be quite silly and entertaining when the mood strikes. However, ​they can be ​finicky with who is allowed around their owners, and can be unkind to strangers or children. They also have a very high prey drive, so any little noise or critter can set these dogs into a barking (or chasing) frenzy. ​While they can certainly be a handful, they have no shortage of love for their owners. Just be aware that sometimes with all that love comes jealousy. 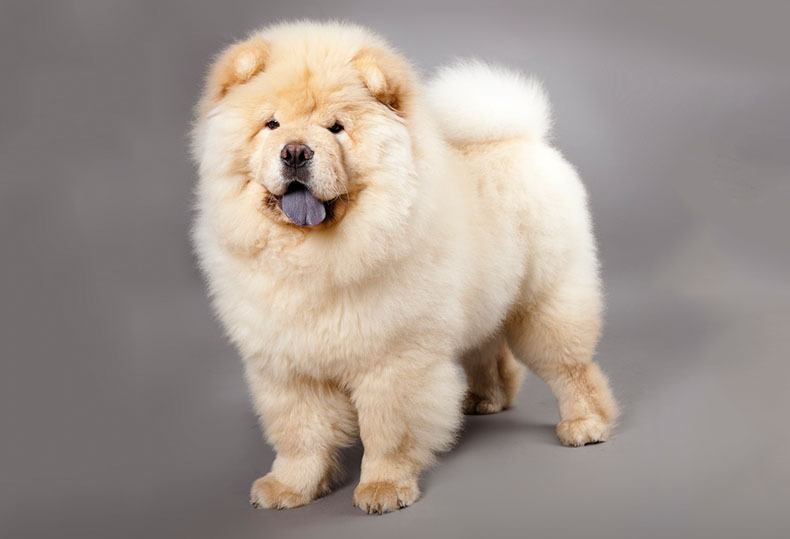 ​The "floofiest" of all the breeds, the Chow Chow has an unmistakable adorable look. But these dogs may be anything but cuddly, as they're known to have a very independent spirit. They'll often be suspicious of strangers and other ​animals, and are known to be very protective. ​These cute fuzzballs are actually a hard working herding breed originating from Lapland, Finland (hence the name). 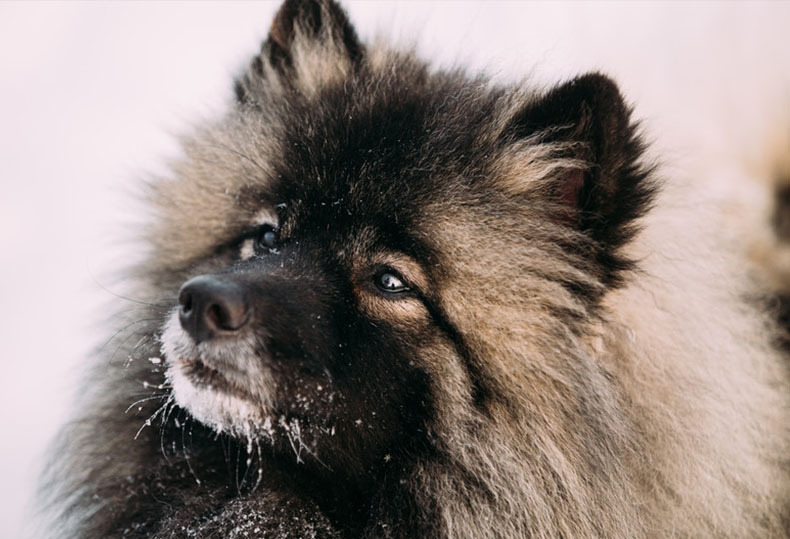 But the Lapphund has since retired from reindeer herding into a more comfortable lifestyle of being close to family and friends. These are ​incredibly friendly companions, and combined with their desire to please they excel in obedience and agility. However, they do require a lot of exercise and have a strong barking instinct, not to mention they can shed an impressive amount of fur. This dog loves nothing more than to spend time with his family and loved ones. In fact, the Keeshond is a highly social animal, and cannot be left alone at any time. That will become very apparent as they "Velcro" onto you and follow you everywhere. And that thick coat needs love too, as you'll assume the roll of a full time brusher to control the heavy amounts of shedding. 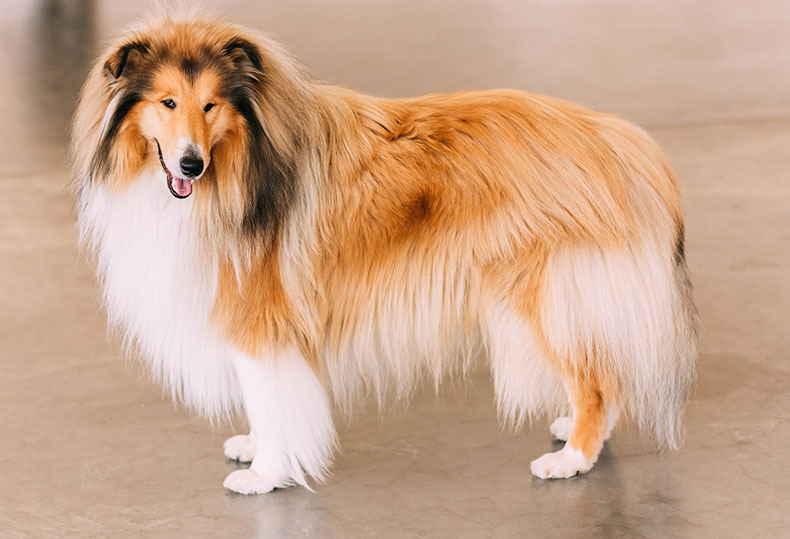 Sheltie herding instincts are still prevalent today, and they'll have a strong desire to bark and herd whenever the situation presents itself. A lot of exercise and mental stimulation is required to keep them happy and calm. ​"Aussies" are quite literally ​party animals. They have seemingly endless amounts of energy, and are always up for a good time. Their active lifestyle can be attributed to being a working breed, and they still have all their herding instincts. That means you can't miss a day of exercise (rain or shine) and a simple walk won't be enough, these dogs ​need to run. There is nothing more destructive than a bored Aussie that didn't get their run. To get the most fluff out of Aussie coats you'll need a good brush. 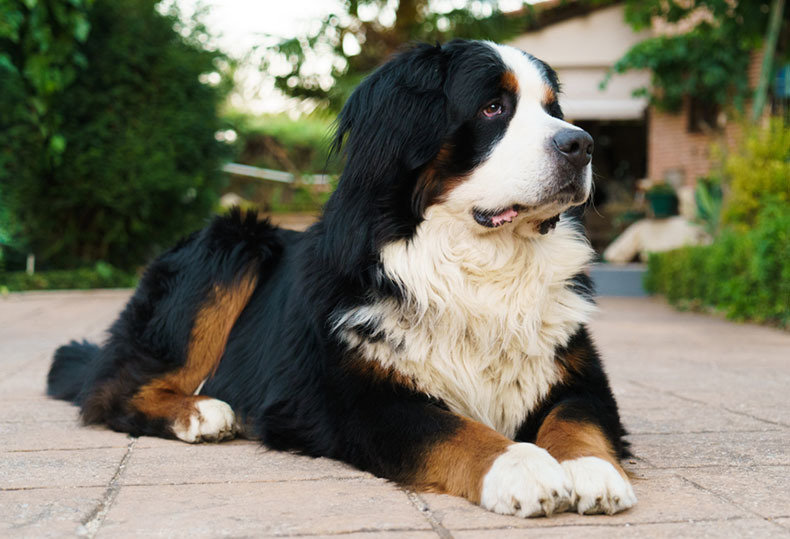 ​Bernese are big, silly, and lovable dogs that want to spend all their time with your family. While still considered a working breed, the Berner is much more adaptable to a calm lifestyle, and eager to please their owners. Their intelligence mixed with their desire to learn makes them very trainable, and they'll ​fit in to your family routine quickly. ​The only difficult part of owning a Berner is their size, which often exceeds 100 pounds. Sometimes they just don't realize just how big they are and their silly behavior leads to accidents, but it's all in good fun. 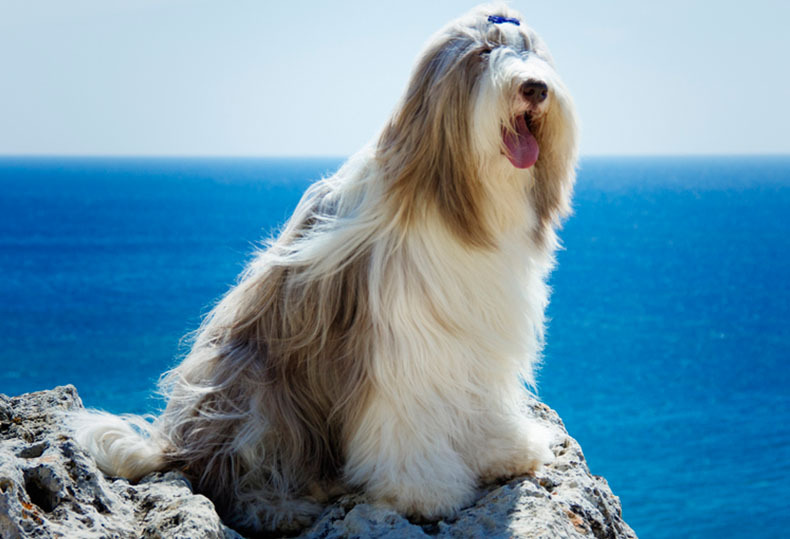 ​Bearded Collies are known for being quite active, intelligent, and happy! But they can often be a little too smart for their own good, and when bored they'll go looking for trouble. Often times this bad behavior can be curbed with a lot of exercise and mental stimulation, this is a ​working breed after all. 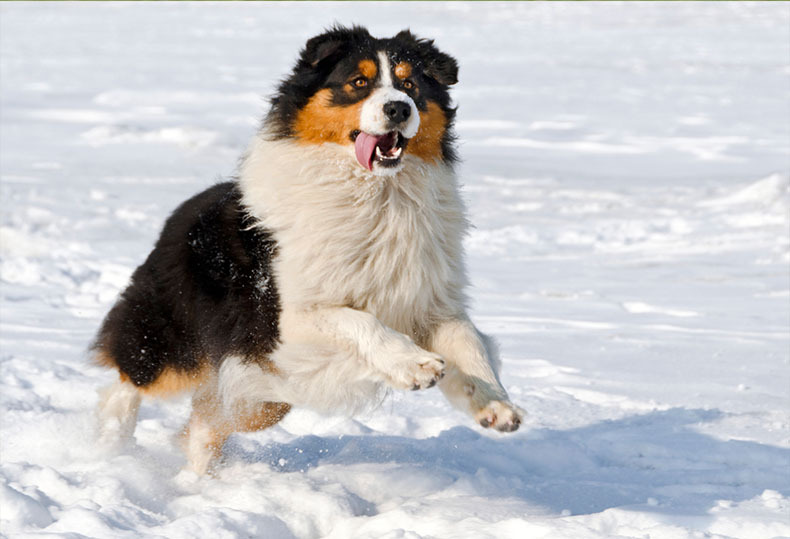 In fact, Collies excel at obedience, agility, and rally and a perfect solution for owners to keep up with their canine's active lifestyle. 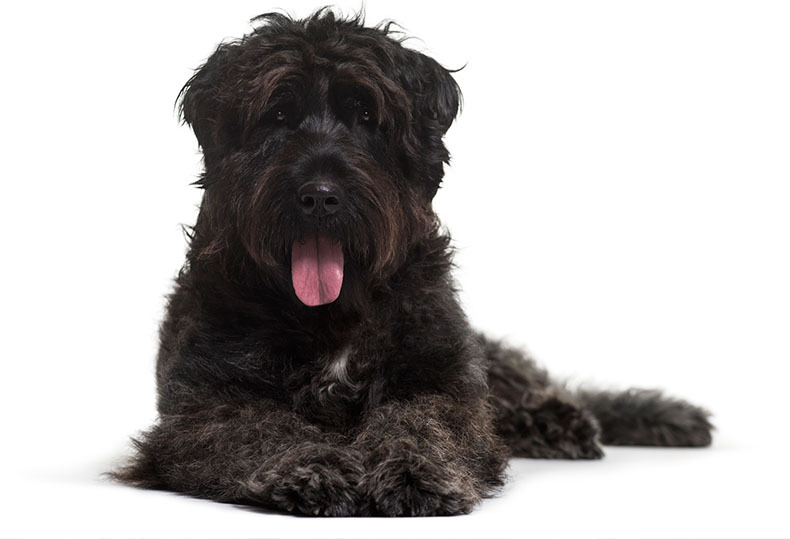 ​Powerful and fearless, the Bouvier is a true athlete among dogs. They were originally bred as herding and working dogs on farms. They are big and powerful, sometimes weighing up to 100 pounds, yet they can haul that weight around no problem with their fast legs. Daily exercise is absolutely necessary to keep this big guy content. These are a unique breed originating in Germany, but are slowly gaining popularity. 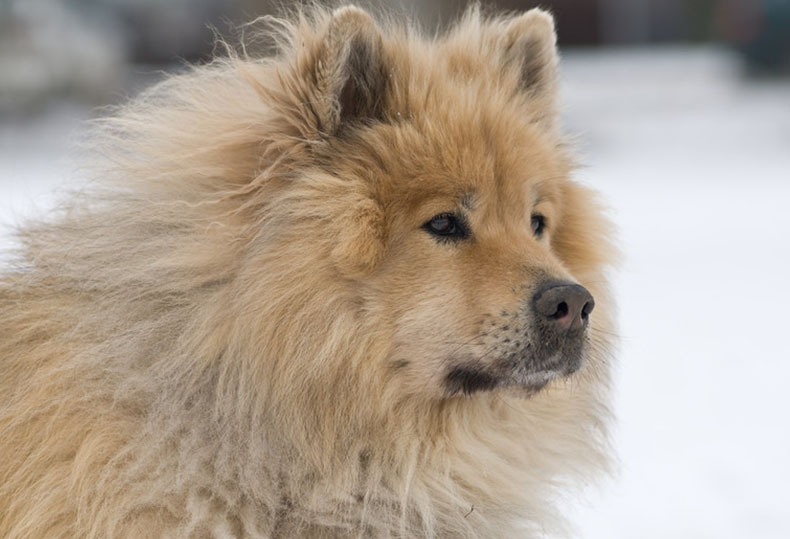 The Eurasier is described as curious, ​calm, intelligent, and affectionate. While rarely aggressive, they are quite suspicious of strangers and ​new dogs - but some early socialization can help curb their shyness. 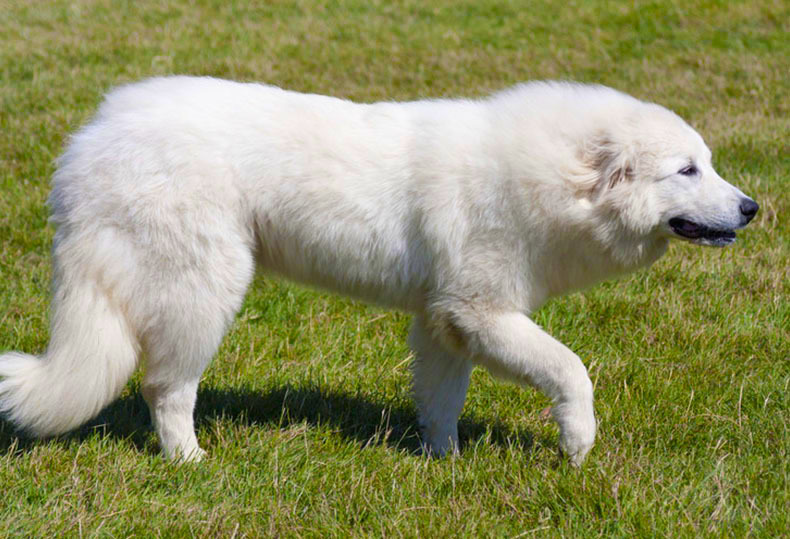 ​The word "Great" in Great Pyrenees is no exaggeration; not only are these dogs beautiful, strong, ​and majestic, but are also physically great, standing 30+ inches tall and often exceeding 100 pounds. Pyrenees were once used in mountains to guard sheep, so they can often be very stubborn and independent (as is their nature). However, they're also known for their calm demeanor and ​devotion to family, which can lead to being very protective. ​Leonbergers are giant, silly dogs with all sorts of personality, and they're always looking for the next bit of trouble. With all that size and energy they can certainly be a handful, and their goofy attitude might test your patience with training. The good news is they make up for it with their hilarious antics and endless affection for their family. 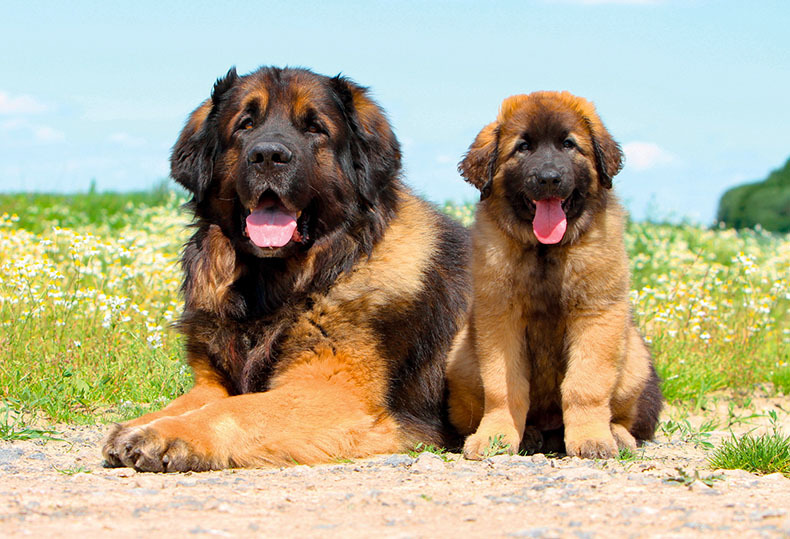 Despite their comedic tendencies ​Leonbergers are quite intelligent, and with a plenty of training and exercise these dogs can excel in competitions, and become a well trained family companion. 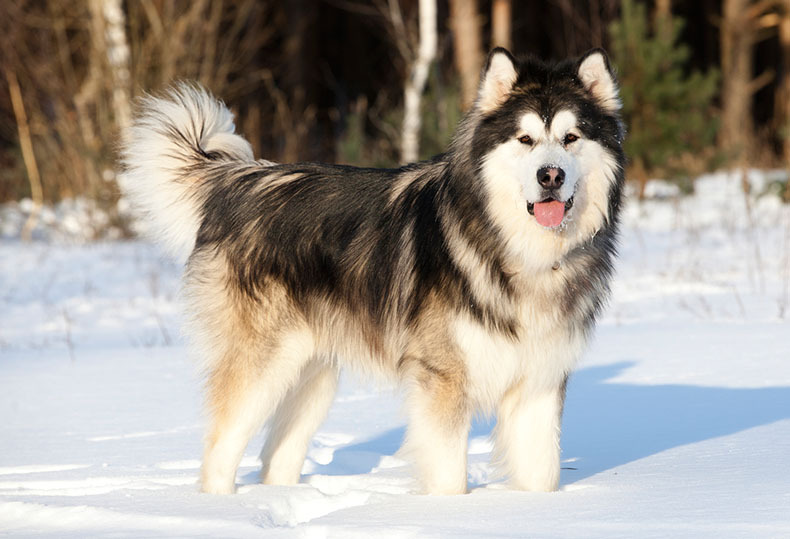 ​The Alaskan Malamute is a strong working breed often used for sledding, hiking, and backpacking through the rough arctic ​terrain. They are the very definition of a big fluffy dog. ​Because of their tendency to pull, dig, chase, and shed - these dogs are a handful in a family home. They're very independent and it takes years of training to ​overcome their stubbornness. With that being said, this dog isn't recommended for first time owners. With great fluff comes great shedding, in which case you may want the best brush to control shedding. "Newfies" are 150+ pounds of love, and ready to be a big part of your family. They are extremely loyal, calm, and are often touted as being a "gentle giant". 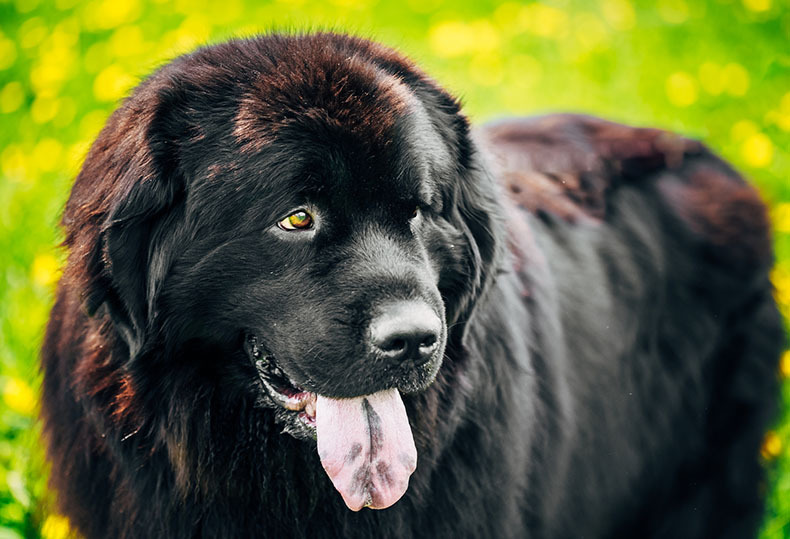 In fact, the only challenge to owning a Newfoundland is their sheer size, which also contributes to an incredible amount of drooling and shedding. Given their temperament and strength, these are multi-talented working dogs, and are even used for rescue missions, human therapy, or to haul equipment in harsh terrains. 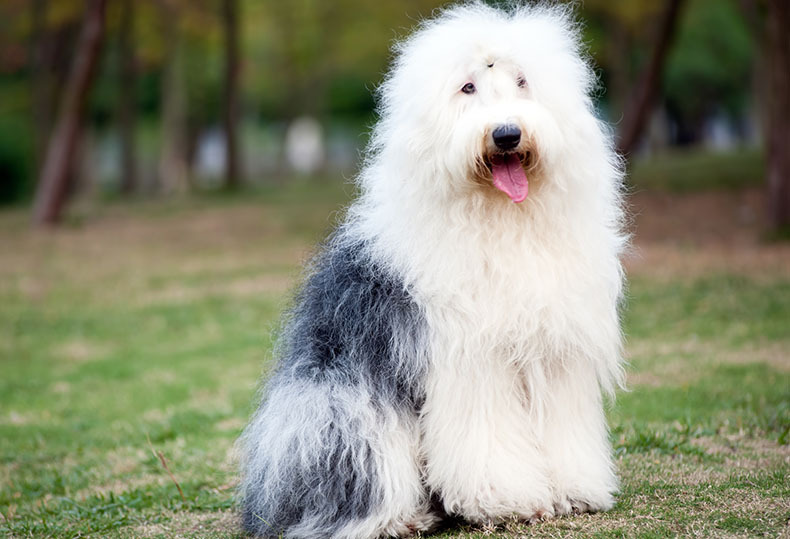 ​There's no mistaking this thick shaggy coat, and just like the name states, this dog was used for herding sheep back in the day. Although still a working breed, these dogs a quite content to live a more comfortable lifestyle. They're affectionate, enthusiastic, and fiercely intelligent dogs. Mix all that with a desire to please their owners and you have a dog that's ready to be your companion for life. 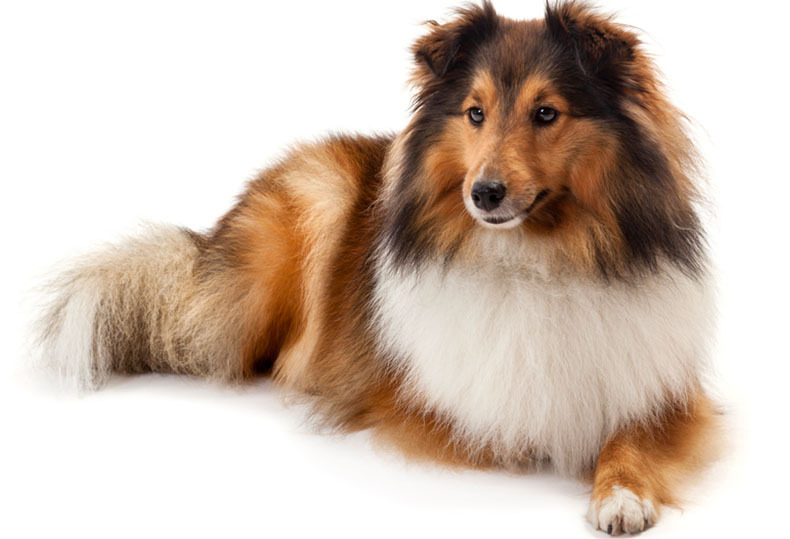 Despite their guarding duty, Rough Collies are quite emotionally sensitive and sometimes shy. ​You'll quickly find they're attuned to your emotions, and ​respond according to how you're feeling, which makes them especially good therapy dogs. It goes without saying, Rough Collies win the award for most family friendly dog. If you're looking for a big, white, fluffy dog, then look no further. 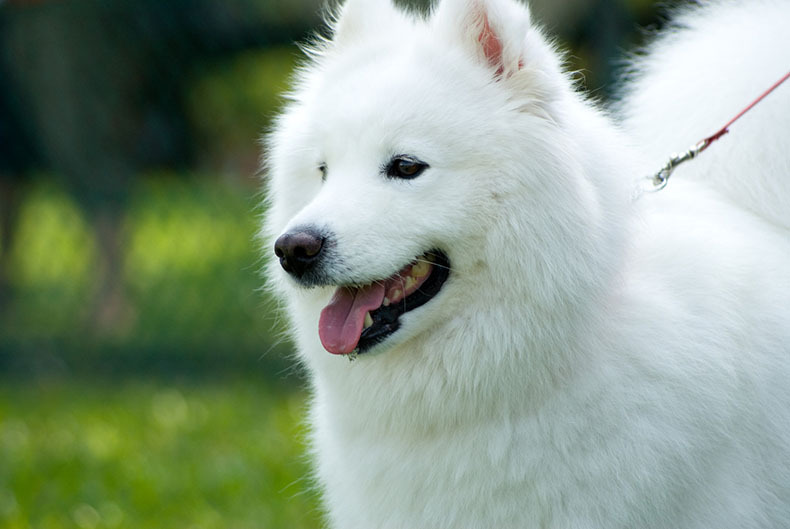 Samoyed's are a lovable, happy, and often "talkative" dog breed that will keep you smiling. They're happiest when with their family, and doesn't take well to being left alone. They're also known to have a high amount of energy, and for always being chatty with an assortment of barks, howls, and grunts. 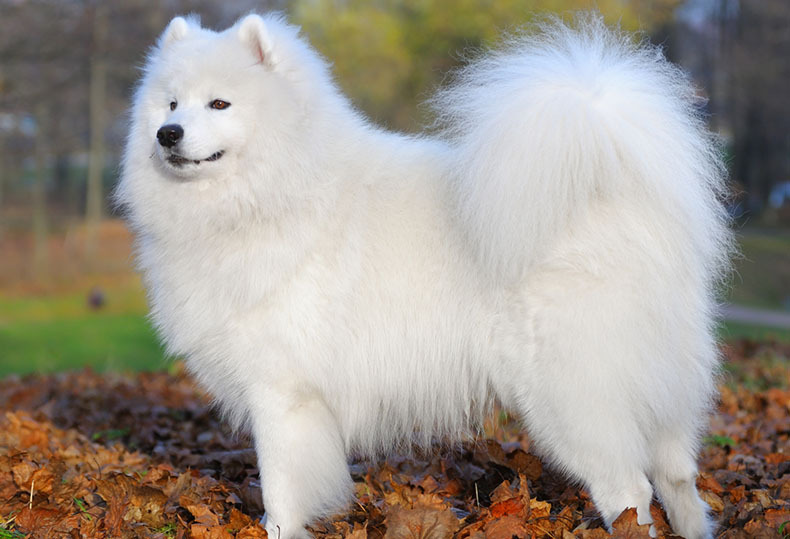 This can be a problem for some families, as a bored Samoyed will become noisy and destructive. If you can accommodate their active lifestyle and constant need to "talk", then you'll find yourself with a lovable companion. 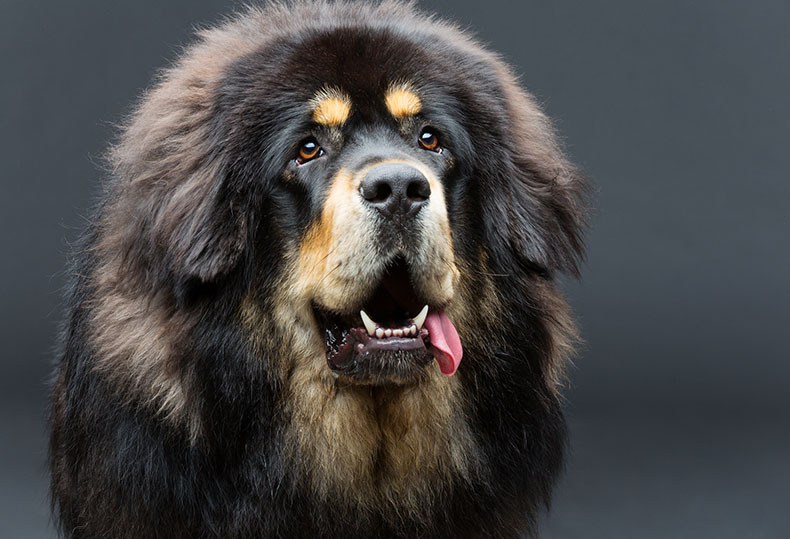 Weighing up to 175 pounds and standing 30 inches tall, the Tibetan Mastiff is a beast. Unsurprisingly, these ​Mastiff's were used for centuries to guard live stock. What a “fluff”. So many fluffy dogs. Awesome! Sooo fluffyyy!! I want to have one !